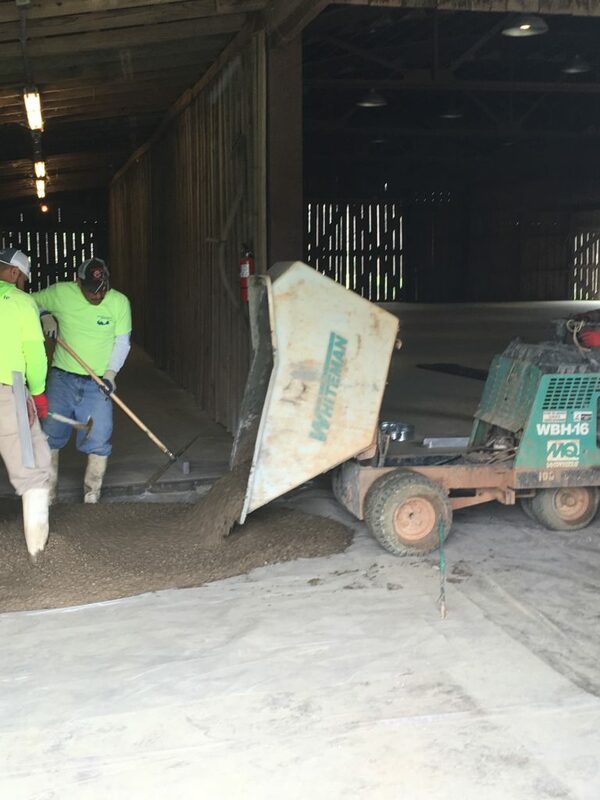 Good-Bye Wood Chips/Hello Concrete Floor! The Little Herb House barn was constructed in the early 1970’s. Its first role was as an airplane hanger to house a small plane used by the farm owner. 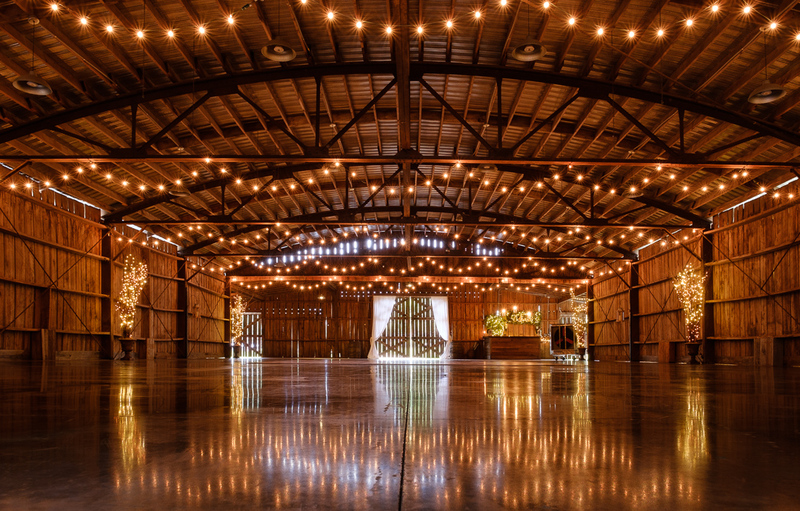 Later he converted it to a horse barn and added 20 stalls and an indoor riding arena. Craig and I bought the farm in 1996 and continued with horses until around 2006. 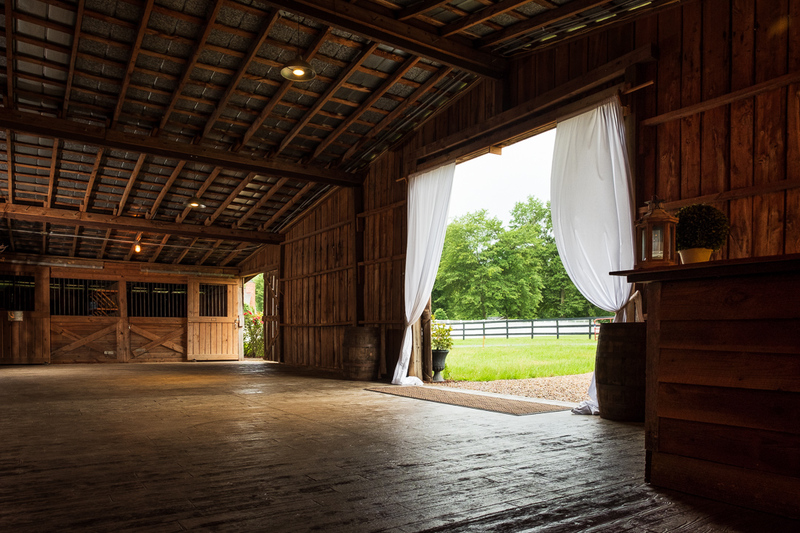 Then in 2009 we had our first wedding reception in the barn. 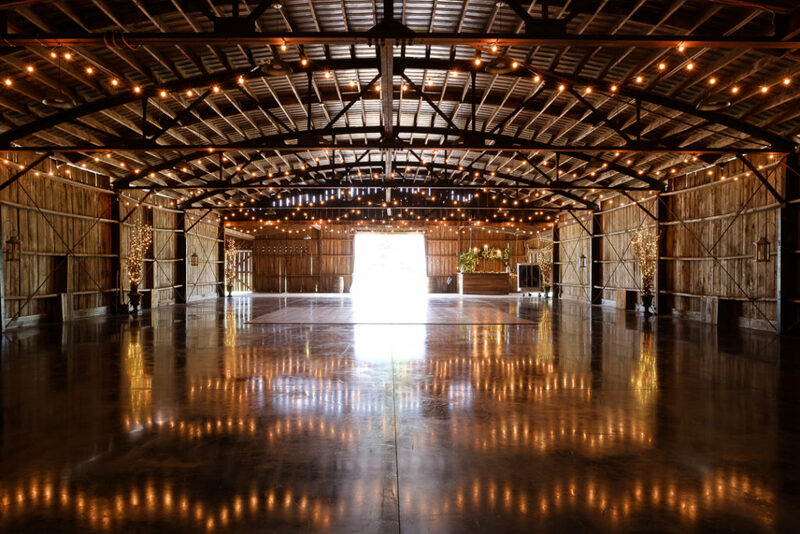 The functionality of the barn made a major shift when we decided to become a wedding venue. However the barn itself really hadn’t changed much over the past 45+ years! That is . . until 2018! Introducing the modern barn at The Little Herb House . . . 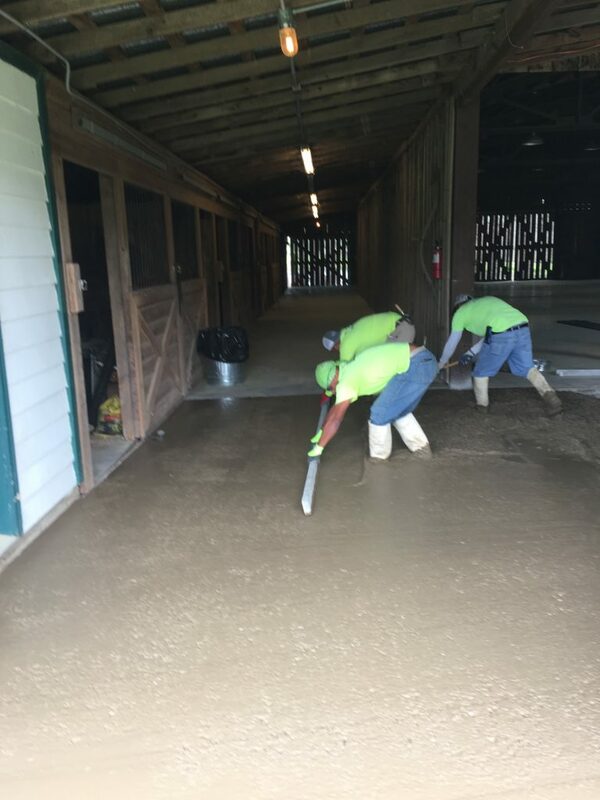 In Spring of this year we began the major project of pouring a concrete floor in the barn. 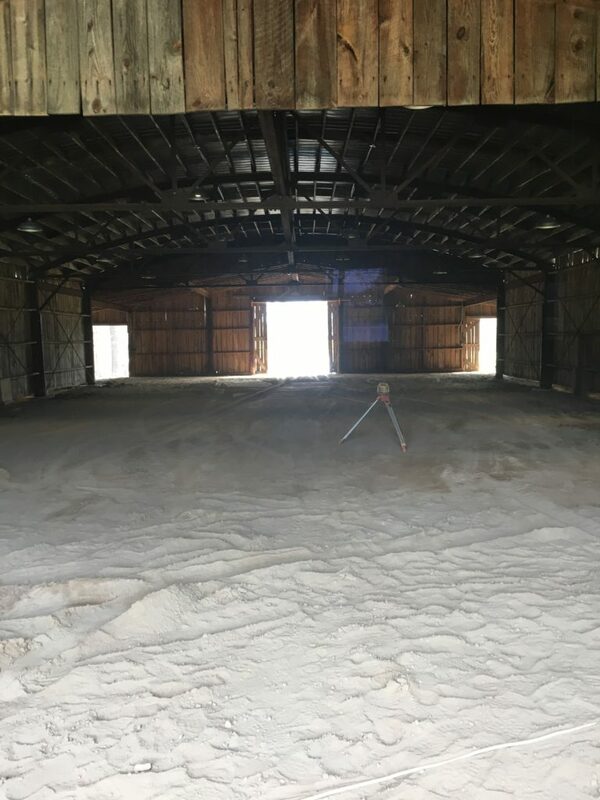 First job – out with the wood chips covering the floor (or as they are known in the horse world – shavings). 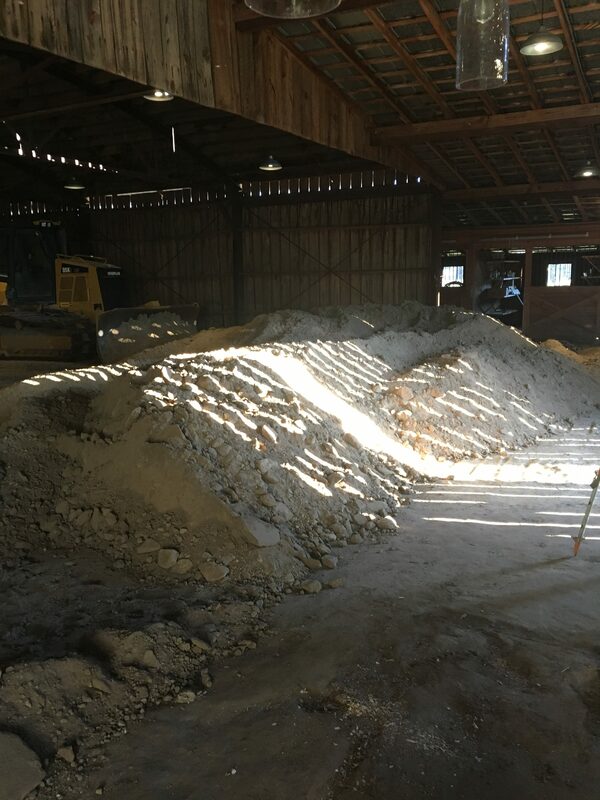 Once the shavings were removed, we knew we had a big job to level the floor; all the years of horses running the arena had left a substantial “hump” of dirt in the middle of the barn and lower levels all around the arena walls. Time for heavy equipment! 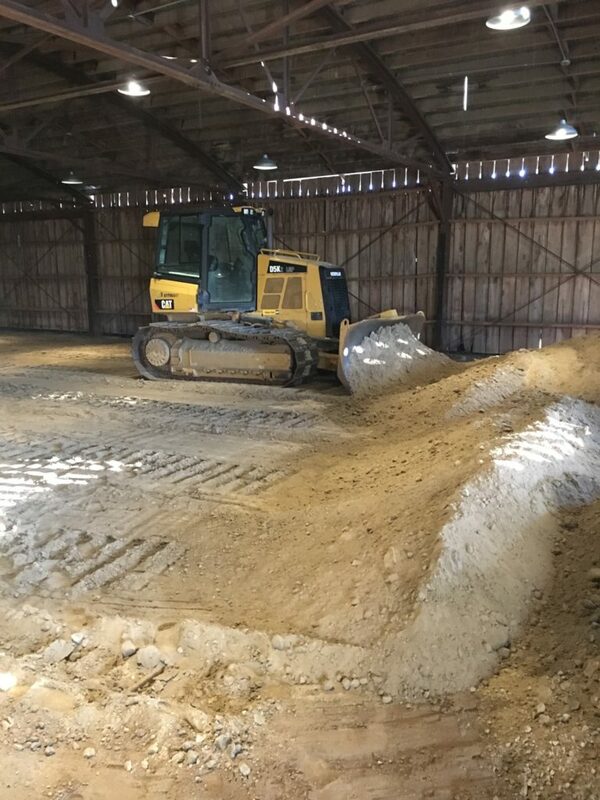 Once the dirt was removed from the barn it was time to level back out the floor . 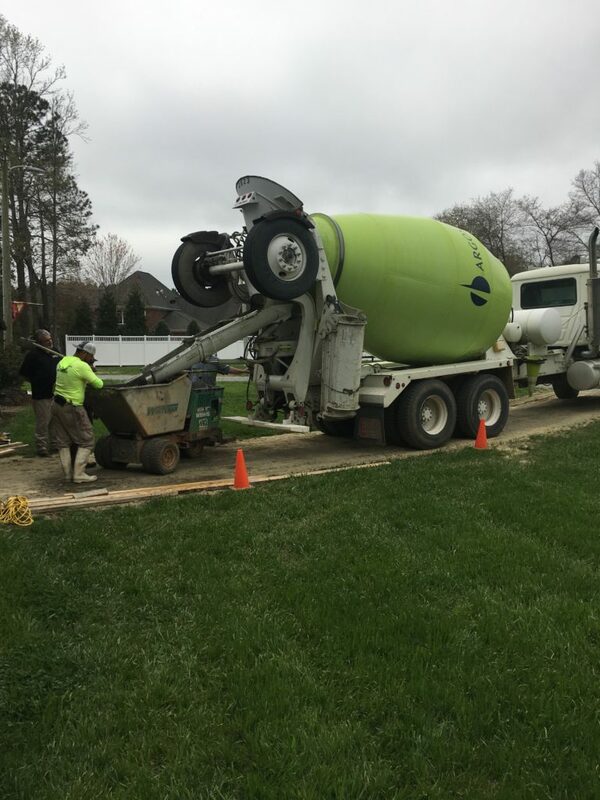 . .
Once the floor had been leveled, the concrete trucks arrived! Over 5000 sq. ft. of concrete had to be poured . . .
Lots more had to be done to complete the project – curing, stamping, sealing . . . but finally the floor was ready! Come inside and take a look! The response to our new floors has been overwhelmingly awesome! 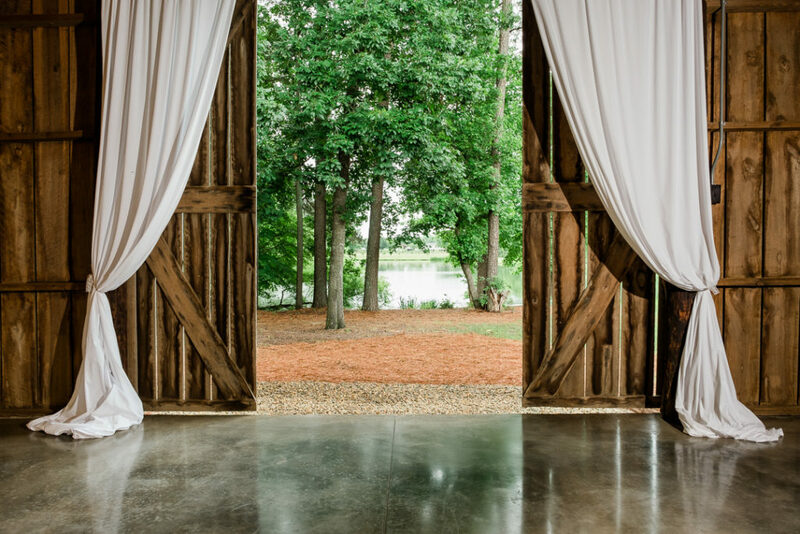 From brides who had already booked the venue with the old floor, to brides looking to book their venue, from all of our vendors (especially photographers! ), and friends and family – all have been amazed by the transformation. 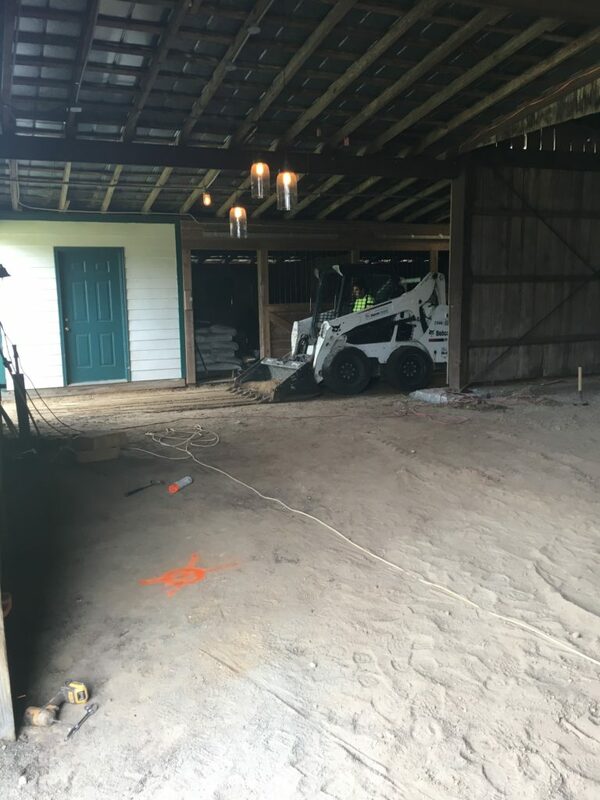 So I extend a personal invitation to come tour the “new” barn at The Little Herb House – still the “real” barn authenticity and appeal, with just a touch of a modern, urban update! Lisa the barn looks amazing!!! Thank you Robin! Quite a difference! Beautiful! Would love to see it in person. Just let me know when you want to come by . . .
Will you be doing Teas in the future? We sure loved it when you did and miss that! No unfortunately we are not planning any teas in the near future.